The temps are dropping quicker that I had hoped for — at least more drastically than I had hoped for October. Seems the number 70 has been forgotten… 80 and 90 were very commonly heard from May until Tuesday. Now today we are hearing 50s, 40s, and 30s. I really should not be complaining about the weather as we watch our southern friends crawl out from under the horror that was Michael. Our thoughts and prayers are with you! No, fall is not my favorite. I get so much more excited (many might say tooooo excited) about spring and the rebirth. 😂 By the way, as of today, I believe it is 158 days until spring. But, who’s counting!?!?! 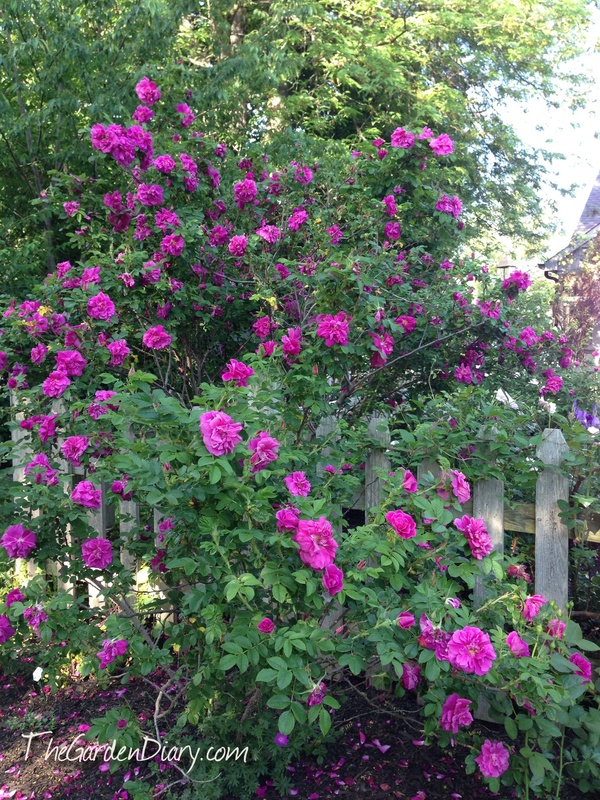 Some of the roses are ready for a break, but some have been blooming like crazy. While I should be leaving the blooms on the shrub to calmly, quietly make hips and go to sleep … I find it hard to do that and have been cutting enough for a few bokays! Stokes Aster . One of the best rose companions. While we are on the topic of weather… I have to confess that I do love the snow. More each year. The days that I spend “cooped up” with Mr. G when the snow is falling are some of the very best. Those of you who know him, know that he doesn’t stay cooped up long. He has to go out and blaze trails in the snow and that is fun too. Whatever the weather, wherever you are … BLOOM! Yes, this week has been about adding, subtracting and relocating. Take a look! I went shopping and found these beautiful plants on sale. Just what I needed for my new project! New Project: I am adding new perennials to extend my border of cutting flowers. I’ll also add roses, herbs, ground covers and some annuals in the spring! For now I’m getting these beautiful bargains planted! Current situation … Buckets, tools and pots everywhere! One of the plants I am adding is a new lavender I found! Phenomenal Lavender is said to be a winter hardy variety that is also disease resistant as well as heat and humidity resistant. I plant lavender every year and have tried several varieties but the “come back” rate is low. Phenomenal Lavender was named Must Grow Perennial for 2013 by Better Homes and Gardens. Let’s hope it lives up to it’s name! Have you grown it? Jackson and Perkins has “Phenomenal” for sale, if you are interested. Here. Chamblee Roses is sending me two Perle d’Ors next week. I can’t wait to have these roses. Perle d’Or is a fragrant old garden rose that was bred in France and introduced in 1884. In this country, this rose has been tested through the Earth Kind program, proven itself and came out on top in 2007 when it was named Earth Kind Rose of the Year. Some articles say it is good for Zone 5 or warmer and some say Zone 6. With this in mind, I plan to keep these little babies in the potting shed this winter and have them in containers on the deck next summer. It may be a few years before I plant them in the ground. I have been grooming a tiny Peggy Martin Rose I was given to have a prominent place in the garden. 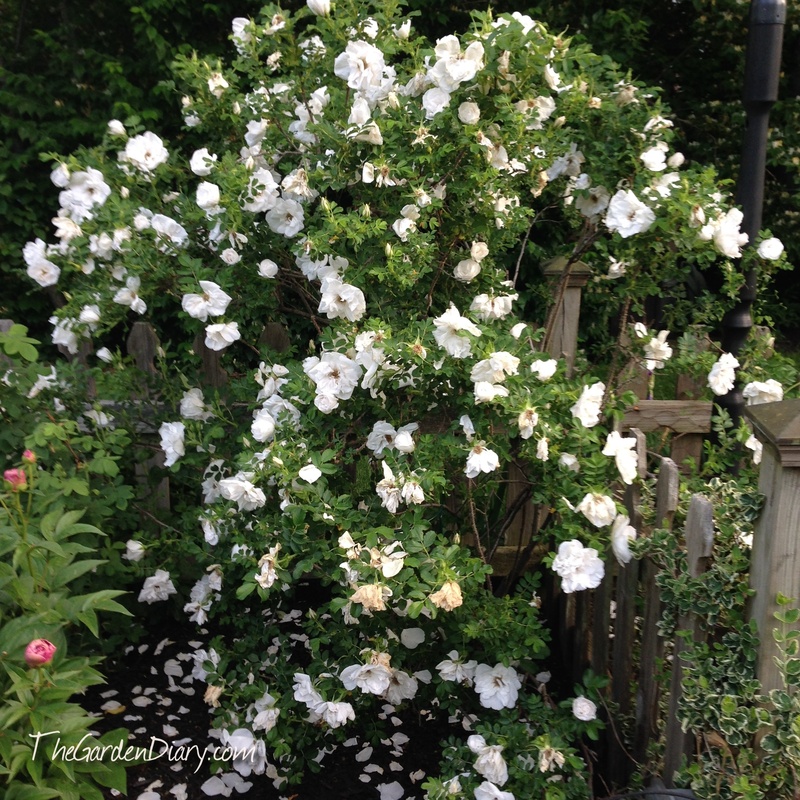 The location has been decided … on the trellis by the porch of my potting shed. I know. I know. She could get very happy and engulf the potting shed. But today I am okay with that. Having this rose in this space will bring me so much pleasure. My tiny little plant has grown 4′ this year and is ready to move. I have not been sure what I wanted in this space since I lost my gorgeous New Dawn 3 years ago to RRD. It was heartbreaking, but now I’m going to give Peggy a chance to add the wow to the entrance to my special place. Here is a picture of 4-year old Peggy on one of my arbors in early June. Yes, she has been missed but hope springs eternal for gardeners and next spring we will watch Peggy grow! I don’t know about where you are but our weather has turned cold! I don’t know what this early cold snap says about our winter! Mr. G is hoping for a lot of snow. He might just get it. 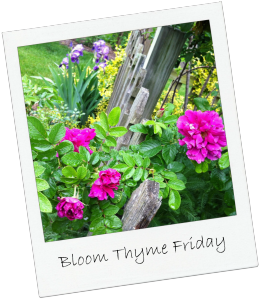 I usually wish you a happy bloom thyme Friday. And, I do wish you all the best, but it is hard for me to say the word happy. My friends in Texas are on my mind and in my heart constantly. Let’s keep praying for them and helping where we can. Many people ask … “What do you do with all those roses in the fall?” Really not much … I tend to keep it simple. 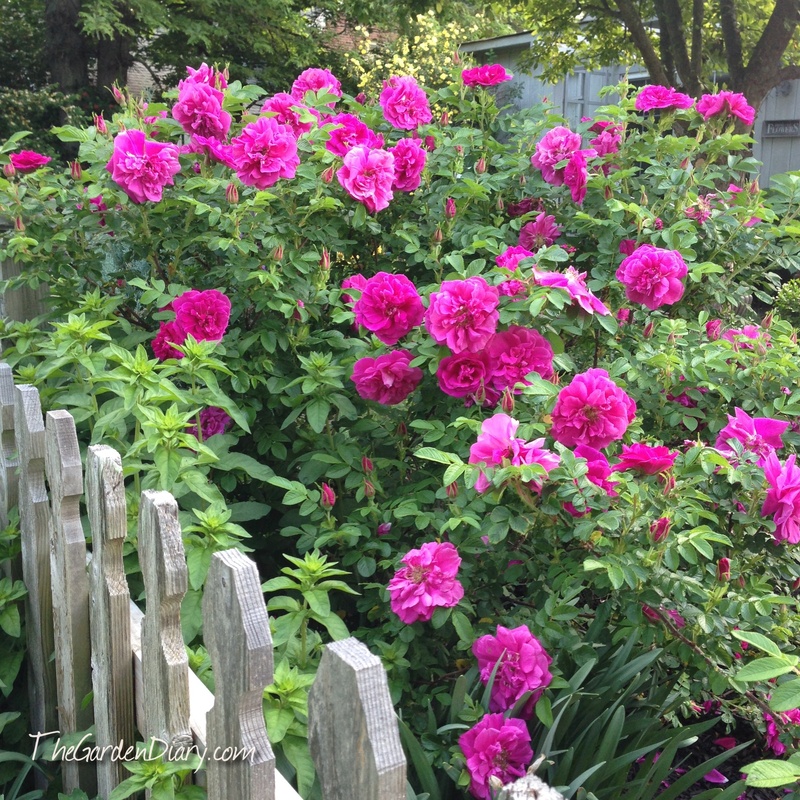 There are other chores that get a lot more of our attention in the fall than the roses. Like leaves! We have a lot of trees and so there are a lot of leaves. Mr. G has that process well in hand — with power tools like his leaf blower and tractor. As far as the rose companions are concerned, I don’t cut back my perennials and annuals until the spring–I love the winter interest they provide especially when the snow falls on the different plant shapes. And, those seed pods are very yummy to our birds who hang around. 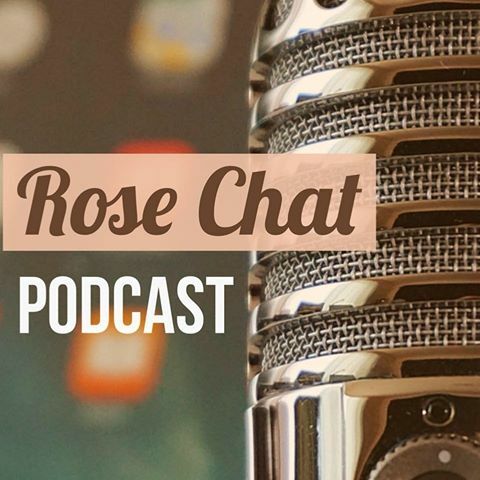 Now for “all those roses.” Many of my roses are known to be winter hardy because I know that it is very likely that we will have a harsh winter and I would advise you make decisions on the roses you buy based on your weather conditions throughout the year not just your spring and summer. I will clean up the beds of diseased leaves and debris and add mulch were needed. I will take those in pots into the garage to protect from the winter. They don’t require much, just a drink of water every few weeks. I will provide a heavy layer of much for a few of the particularly tender roses or sentimental favorites that I would hate to lose, by adding 4-5″ of extra mulch. I will tie up the long canes of the climbers. I can look out and see that Peggy Martin and Francis E. Lester has grown some long arching canes since I tied them up a few weeks ago. I will also cut back any of the roses that are extra tall to about waist high to keep them from flapping in the winter winds. For the rest of the roses, they are on their own. Most can take it, but I know that if we have a winter like we had last year, I will lose a few and it is to be expected. But, you know what that means, once I get over the emotion of the loss, I will celebrate the extra space for the new introductions. Rugosas are some of the toughest roses I grow. They will be back next spring give us their own brand of fireworks and fragrance in the garden. Oh I just can’t wait. If you want to read more about FIREWORKS and FRAGRANCE in the garden, read on here. Have a wonderful week and enjoy the garden down time! This week has been a week of extremes. Extreme heat & humidity; extreme storms (even a tornado touch down within 10 miles of us); and EXTREME visits by the not so welcomed moles. I have been on an “extreme” Japanese beetle watch since so many of my online garden friends are reporting beetle invasions in their gardens. The last two years we have seen very few and wouldn’t it be nice it that continued. If you are interested in reading more about Japanese Beetles (and who wouldn’t!?! ), check out my friend Lynn Hunt’s article–Meet the Beetles. Have you ever dealt with moles? Do you have any advice on what we should do? Mr. G is on “mole” detail and maybe it’s better if I don’t even know what he is going to do about it. Might not be pretty. HAVE A WONDERFUL WEEKEND AND HAPPY BLOOM THYME FRIDAY!